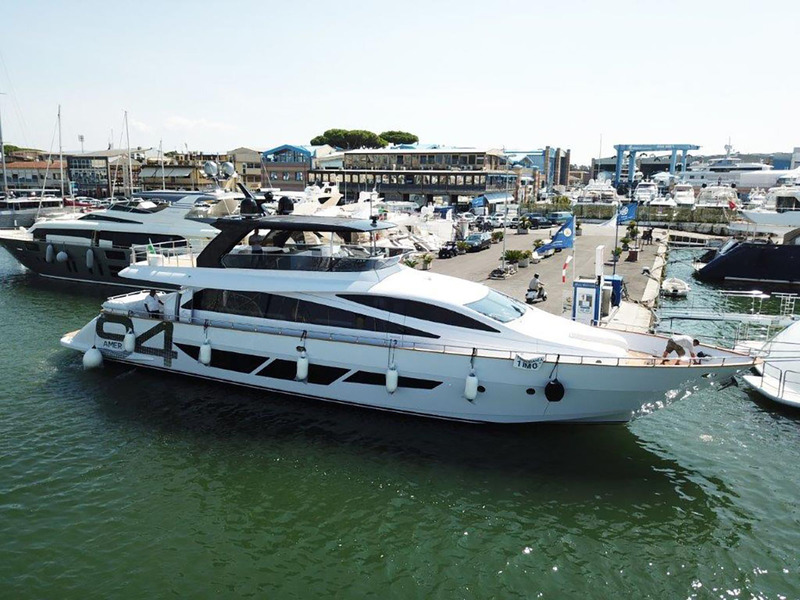 Superyachts are not renowned for their modesty but, in a landmark demonstration of sustainable boating, a Volvo Penta IPS-powered Amer 94 has cruised at a variety of speeds over a 100-mile journey – while delivering radically lower fuel consumption. 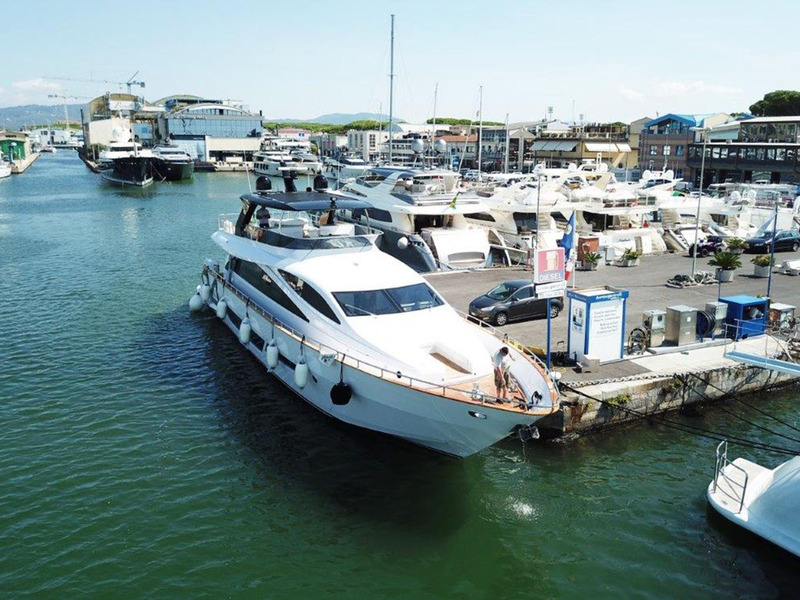 The coast of north-west Italy was recently the scene of a pioneering experiment into the substantial fuel-saving potential of superyachts. Volvo Penta and Amer Yachts teamed up to demonstrate that the combination of a premium propulsion system and innovative boat design can create superyachts that deliver exceptional fuel efficiency. 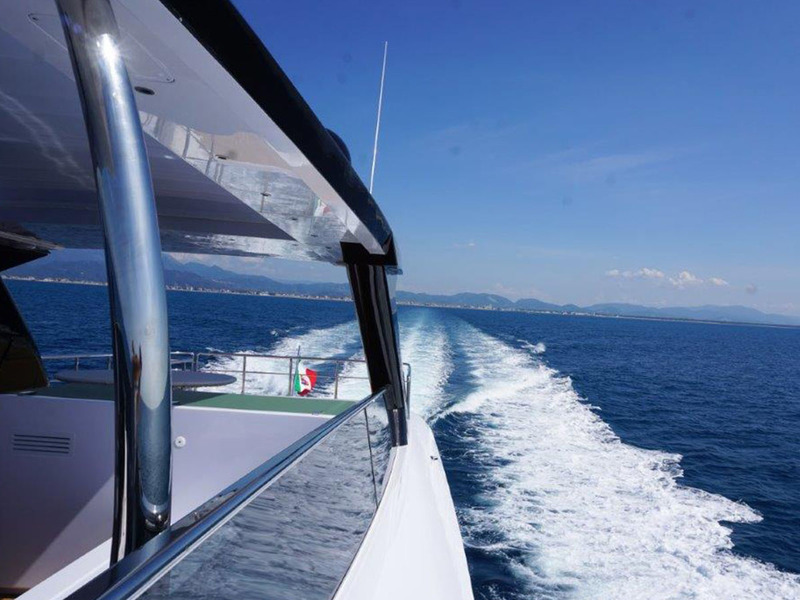 A controlled 100-mile journey from Viareggio to Sanremo saw the Amer 94 reduce its fuel consumption by up to 45 per cent compared to yachts fitted with traditional inboard shaft installation. These remarkable results are due to the craft’s lightweight design and the fitment of efficient and compact Volvo Penta Inboard Performance System (IPS), which together slash the weight of the yacht by 20 tonnes – the weight of four elephants. During its 100-mile challenge the Amer 94 cruised at a range of speeds (9.13 knots, 19.1 knots, 23.5 knots, and 26 knots) in calm seas, navigating both against and with the current. Across the speed ranges, data showed that the yacht had a reduction of fuel of up to 45 per cent, compared to inboard shaft-driven systems, as well as a drop in carbon dioxide, nitrogen oxides and particulate matter. Half of the Amer 94’s remarkable 20-tonne weight saving has been achieved thanks to the use of twin Volvo Penta D13-IPS1350 units. They require much less fuel to be carried onboard compared to inboard engines, as well as IPS’s lighter engine, gearbox, shaft, steering and exhaust. The second 10-tonne weight saving has been achieved due to Amer Yachts’ use of lightweight materials. This includes using cork instead of teak decks, variable phase generators and stabilizer fins (instead of gyro-stabilizers). 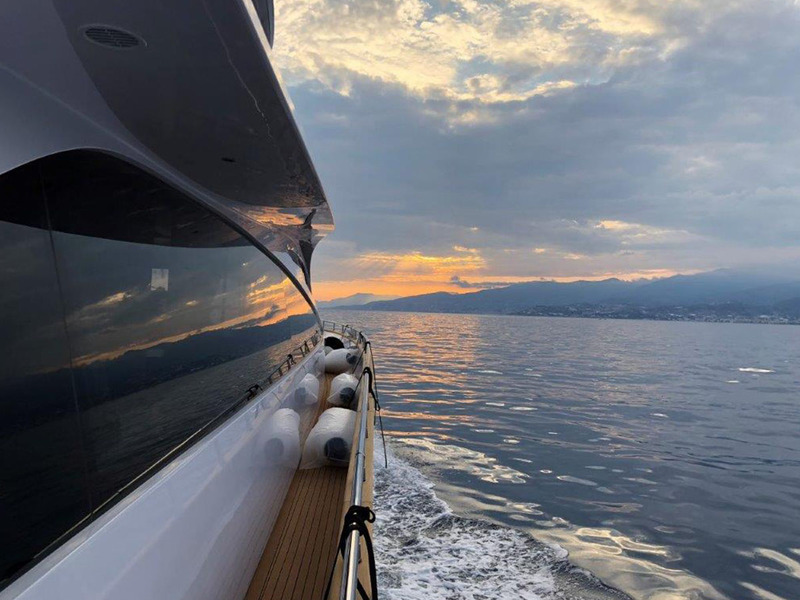 “In having a long-standing relationship with Amer Yachts we set out to explore new opportunities for sustainability in yachting,” says Nicola Pomi, vice president of Volvo Penta’s European marine division.